This scripture is one of my daughter’s favorite. It is the one we put on her high school graduation announcement. As we prepare for her to head off for her 3rd year of college, I am reflecting on many things. Each time a child leaves the nest then comes back then leaves again, it tugs more at the heart-strings! I always expect it to get easier but it never does. It is different, maybe not as painful as the very first time but it is still a change for all. I will miss her but I send her off with the confidence that she can get through this thing called life! One of the changes this year is my daughter will be living in an apartment for the first time. She has been preparing for months with her dear friend and roommate. They have been shopping and planning, getting prepared to have a kitchen and to eat more meals in than out! As a foodie mom it is so much fun to watch this journey! We have been discussing things needed and also yummy recipes! They have both done a good job figuring out what they have already with what is needed and then planned out and shopped. I have done my best to prepare my daughter for the meal planning, the most important part and also the shopping of food. I know this will take some getting used to but I feel both my daughter and her friend are as prepared as they can be. 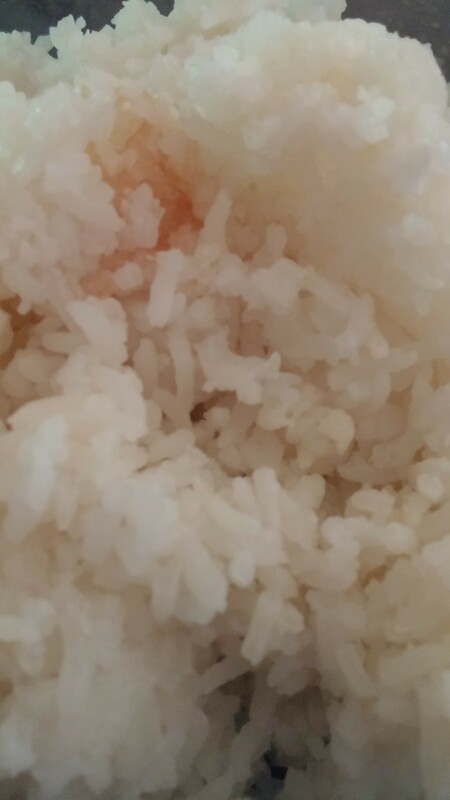 One of my daughter’s favorites is RICE! 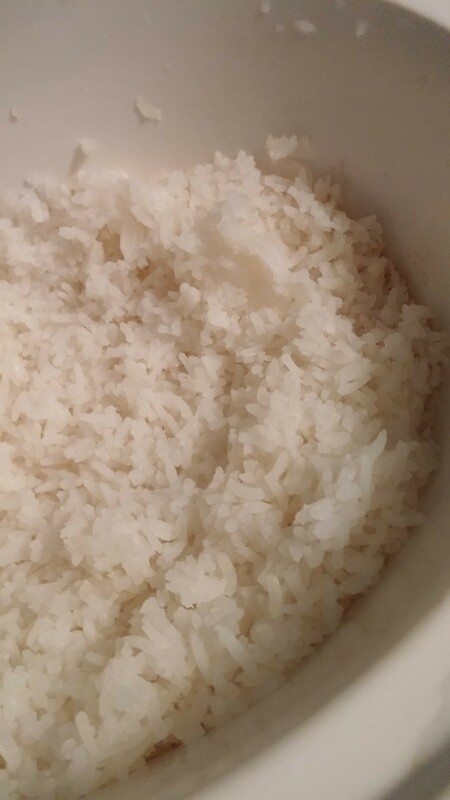 I have an easy recipe for cooking perfect rice in the oven using the Deep Covered Baker from Pampered Chef. Since that recipe takes an hour to prepare using the oven and the pan is not budget friendly for a college student and it is very heavy….we decided to wait to purchase this for later. My daughter can cook rice on the stove and be done in 20 minutes but I started thinking about the slow cooker! They will have one in their kitchen so why not give it a try! I used about the same measurements as when I cook the rice in the oven with a slight adjustment and it came out great on the first try! The girls can put this on when they get back from classes and have rice by dinner time! Give this a try in your own home and see what you think, you might just cook rice in the slow cooker all the time! ENJOY! We added season salt and pepper BUT the possibilities for taste here are endless! You could add shredded carrots, minced garlic, onions, different spices…be creative with the flavors! Spray your slow cooker with Pam, add in the rice and water. Drizzle with olive oil and add your spices. Cook on high for 2 to 2 1/2 hours. You will have delicious fluffy rice!